NCsoft loves Epic's Unreal Engine, but then again who doesn't (hush Silicon Knights)? After successfully implemented the last version of the engine in Lineage 2 and the forthcoming Exteel, NCsoft is making the jump to next-gen, licensing the Unreal Engine 3 for two unannounced MMO projects. "Unreal Engine 3 has a well structured rendering pipeline, and its graphical quality is superb thanks to advanced lighting and shadowing systems," said Young-muk Choi, lead programmer, Development Unit, NCsoft. "Tools within the Unreal Editor empower us to instantly produce and optimize our outputs, and we especially love how the engine enables designers to easily prototype concepts without the need for programming." Hopefully UE3 will also be able to help them make a game that doesn't fail miserably. SEOUL, KOREA (March 25, 2008) - NCsoft® Corporation, the world's leading developer and publisher of online computer games, today announced that it has reinforced its relationship with Epic Games, Inc. by licensing Unreal Engine 3 to develop two unannounced, top-tier massively multiplayer online games. NCsoft has achieved spectacular results working with the Unreal Engine over the years, shipping the highly successful Lineage® II, and the soon to be released Exteel ™, using Unreal Engine 2. "NCsoft pioneered online game development using Unreal Engine, as evidenced by Lineage II, one of the most commercially successful and enduringly popular online games in history," said Jay Wilbur, vice president of Epic Games. "We are thrilled to take this next step with NCsoft, and are fully committed to supporting their projects. We expect to be completely wowed by what they do with our latest technology." 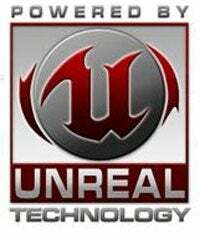 Developers and publishers around the world have licensed Unreal Engine 3 for PC, Xbox 360 and PlayStation 3. Since Epic has shipped its internal titles across all supported platforms, the engine's content pipeline and technical capabilities have achieved unprecedented levels of maturity and accessibility. These advancements, combined with the continual incorporation of top quality middleware via Epic's prestigious Integrated Partners Program, has primed Unreal Engine 3 as the best possible offering for cross-platform game development for years to come. Through this licensing agreement, NCsoft will be able to take advantage of the latest enhancements to Unreal Engine 3, including dynamic ambient occlusion, a fracturing tool and runtime, a realistic crowd system and much more.